The pre-Hispanic goldwork of Colombia is traditionally classified by archaeological zones, or regions, each with stylistic associations, varying in iconography and technology: Calima, Quimbaya, Tolima, and Nariño in the southwest; Muisca in the central highlands southeast of Bogotá; and Zenú (Sinú) and Tairona in northwestern Colombia. 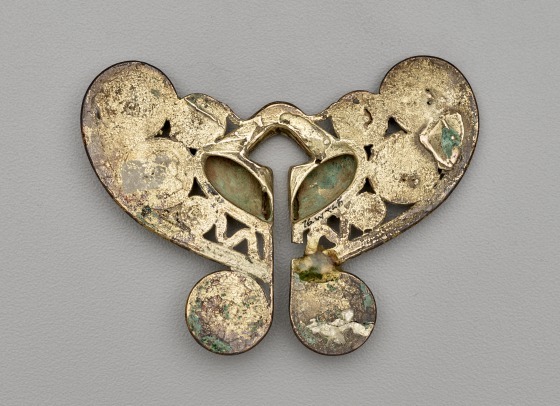 The richly varied works were primarily objects of personal adornment. 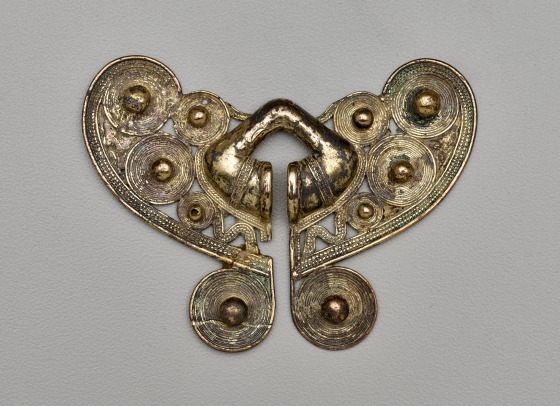 Pendants, headdress elements, pectorals, bracelets, anklets, and nose and ear ornaments probably functioned as ceremonial regalia for elite men. Tairona goldworkers produced some of the most elaborate gold objects made in the Americas—featuring delicate spirals, intricate line-work, and braided elements in cast filigree, Tairona ornaments often emphasize volume and three-dimensional form, as seen in this example. When worn together, as many of these personal gold ornaments undoubtedly were, they would have created a dazzling golden image. "Figure Pendant (69.7.10)." In Heilbrunn Timeline of Art History. New York: The Metropolitan Museum of Art, 2000–.http://www.metmuseum.org/toah/works-of-art/1977.187.22/. (August 2009). "Masked Figure Pendant (1991.419.31)." In Heilbrunn Timeline of Art History. New York: The Metropolitan Museum of Art, 2000–.https://www.metmuseum.org/toah/works-of-art/1991.419.31/. (August 2009).